A product can be recalled due to demands of local authorities, or court coders. These are compulsory product recalls. However, a voluntary recall is initiated by the manufacturers or vendors as a preventive measure for possible product defects. In this case, Samsung cannot identify which battery is safe, and which may have quality issues, so, they voluntarily recall all Galaxy Note 7. What will I get in Galaxy Note 7 recall? Based on the statement, Samsung will replace you Galaxy Note 7, not just the battery. So, in this Galaxy Note 7 recall, as a owner, you will get a new Galaxy Note 7 and you MUST return current one. Can I choose to get a refund (or swap to Galaxy S7 edge)? Probably not. But this depends on your local distributor or carrier. In most regions, the offer in a voluntary recall usually is not negotiable. You have only two option: take it or forget it. In some regions, refund may be requested only for compulsory product recalls. When will I get the new Galaxy Note 7? It depends on regions and vendors. Samsung will start to replace Galaxy Note 7 in about 10 day to 2 weeks. You should check with local Samsung office or official representatives in your regions on the schedule and procedures. How to check whether my Galaxy Note 7 is included in this Galaxy Note 7 recall? All Galaxy Note 7 will be recalled, except those sold in China. How many Galaxy Note 7 will be recalled? Samsung sold more than 1,000,000 (1 million) Galaxy Note 7. These will be recalled. Another about 1,5000,000 (1.5 million) Galaxy Note 7 units have been shipped from Samsung . But they are in the hands of distributors or in transit. Remember, Samsung originally planned the second wave launch in early September. These will also be recalled. But this is more or less simpler because most of them are still sealed and stay in a warehouse. So, in total, there are about 2.5 million Galaxy Note 7 units to be recalled. Is it safe to use Galaxy Note 7? If you have a replacement phone, you may try not to use Galaxy Note 7. Maybe it is a bit overreacting. But if you can do it easily, why not? How to use Galaxy Note 7 before I get my Galaxy Note 7 replaced? 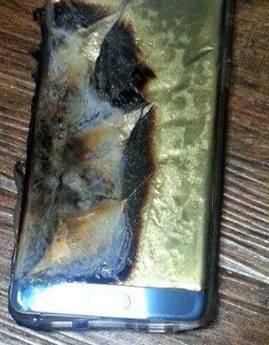 Try not to use the phone when charging Galaxy Note 7. All reported accidents happened when Galaxy Note 7 was connected to a charger. Try not to use power banks. Charge Galaxy Note 7 with the official Samsung charger only. Use official Samsung USB cable only. Do not use micro USB adapter (including the official one in Galaxy Note 7 box) for charging. Disconnect Galaxy Note 7 from the charger once it is fully charged. Don’t play Pokemon Go (actually any games) with power bank connected. Take it easy. The chance of getting a exploded Galaxy Note 7 is less than winning a lottery. So far, Galaxy Note 7 exploded only when charging. And most cases involve third-party chargers, or third-party cables or micro USB adapter. Why China is not included in this Galaxy Note 7 recall? Samsung has two battery cell suppliers. For Chinese market, the supplier is different from the one for international market. There are no quality issues for this battery cell supplier. What happens if I don’t change my Galaxy Note 7 in this recall? You can continue to use your Galaxy Note 7 until you change a new phone, or until it explodes (unlikely, but possible). This Galaxy Note 7 recall is a voluntary recall. Samsung now gives you an offer: you can take it or forget it. Because there are potential battery quality issues in some Galaxy Note 7, you probably do not want to risk your safety for it. Do you have any questions on this Galaxy Note 7 recall? What’s you thought on this Galaxy Note 7 recall? Please share your thoughts on Galaxy Note 7 recall in the comment box below.